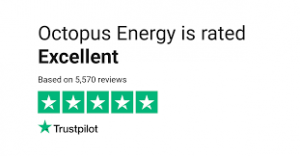 Octopus Energy has a five star ranking on TrustPilot. 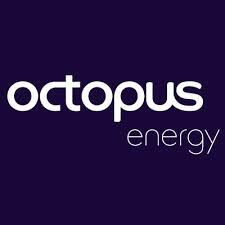 We have been using Octopus Energy as our energy supplier for both gas and electricity for about two years. I can recommend them. They are one of the cheapest but not the cheapest. The advantage of using them is that they offer a decent level of support. They will get back to you within a few hours if you email them. Octopus will genuinely try and solve any problems you have with your energy supply. Using the link to switch from your existing supplier is easy. You don’t need a coupon, voucher or promo code. The link takes you directly to the Octopus Energy website, where you can sign up using the referral scheme. You could of course go directly to their website and switch energy supplier from there but you would not get the £50 credit off future energy bills. It will only take a few minutes to complete the information required. Once you have signed up it will take about twenty days for your energy supplier to be switched to Octopus Energy. This length of time is standard. Octopus Energy will then credit your account with them with £50 for use towards future energy bills. The supplier Octopus Energy was designated by Which magazine as a Recommended Provider 2018. We have compared several energy suppliers, such as Bulb, Ovo, Utility Warehouse, E.On and find Octopus Energy the best. It can be used for electricity, gas or dual fuel. Octopus Energy is a leading supplier of energy generated from green sources. They are not one of the big six energy suppliers. They are considered good value for money. Use the referral link to sign up with them today! A recent article in the Daily Telegraph describes how customers are ditching the big six energy firms. Data released by Energy UK showed that in 2018 5.8 million households changed energy supplier. Of these 1.7 million chose a supplier that was not in the big six. Customer satisfaction surveys by Which gave the top five places to small energy suppliers. Octopus Energy scored 80% with others such as Robin Hood Energy and So Energy behind them followed by others such as Ebico and Tonik Energy.